Hello and welcome to Send A Smile 4 Kids’ 175th Challenge! 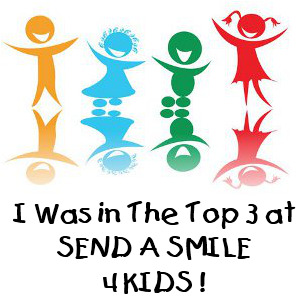 I'm excited to join the Send A Smile 4 Kids celebration blog hop. The theme is Christmas in July (4 Kids), because it is never too early to start making holiday cards for all the kids in the many children’s hospitals they now serve. Send A Smile 4 Kids would love for each child to receive a holiday card as well as be able to pick a card or two for some special medical staff and/or loved ones during the holiday season. 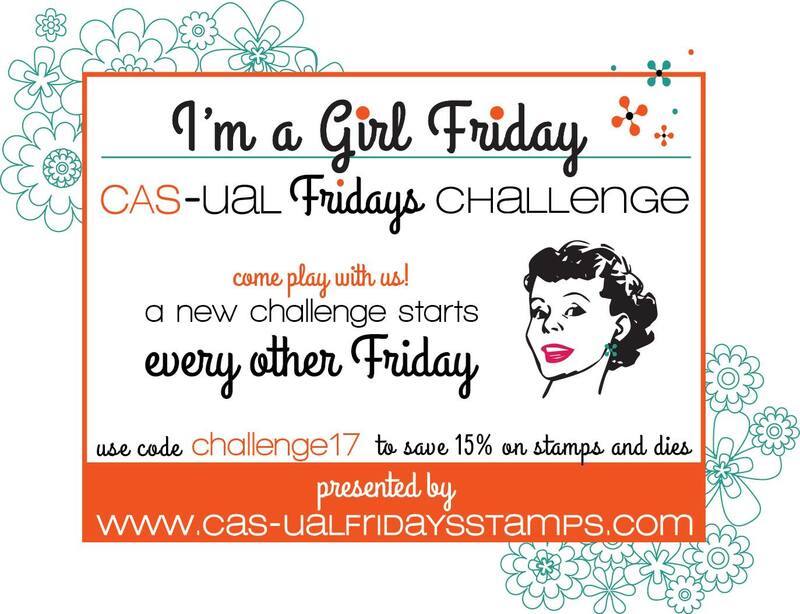 I created two cards using the Tra La La digital stamp from All Dress Up Stamps. On my first card, I printed several copies of the digital image. You can't tell by the photo, but I ended up water coloring all the printed copies and once dry fussy cutting each of the animal apart (except the birds). I wanted more dimension, so using foam I pop up the rabbit and the mouse and also the cat's scarf. Card two was a fun one and came together a lot faster than card one. Once again, I used several printed copies of the image, this time frame sections of them with my filmstrip die cut. I used a black copic marker to color the filmstrip's background black, creating what I hope looks like a negative film affect. 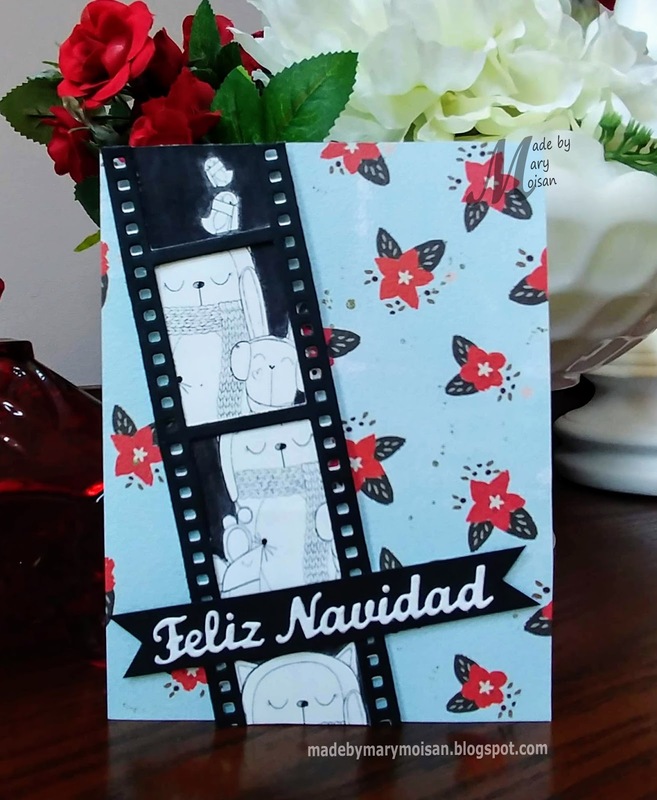 I added a Spanish Merry Christmas (Feliz Navidad) die cut sentiment from Elizabeth Craft Designs. I'm one of several stops in the blog hop, at which you have one or two chances to win by just leaving a comment. You can also earn extra chances to win by commenting on the main SAS4Kids blog post and by entering the Christmas in July challenge which starts July 21st and runs through August 3rd at noon. The prize offend here is the Stampendous Hydrangea Garden Cling Stamp and Die set. **You do not need to comment on every stop of the blog hop to have a chance to win a prize. One comment on any of the blogs or on the main SAS4Kids blogpost qualifies you to win one of the prizes on that blog. If you leave a comment on each stop, you will have earned 16 chances to win a prize, and if you enter a card in the Christmas in July 4 Kids challenge, you will also earn a chance to win one of 8 random prizes there. ADDRESS. 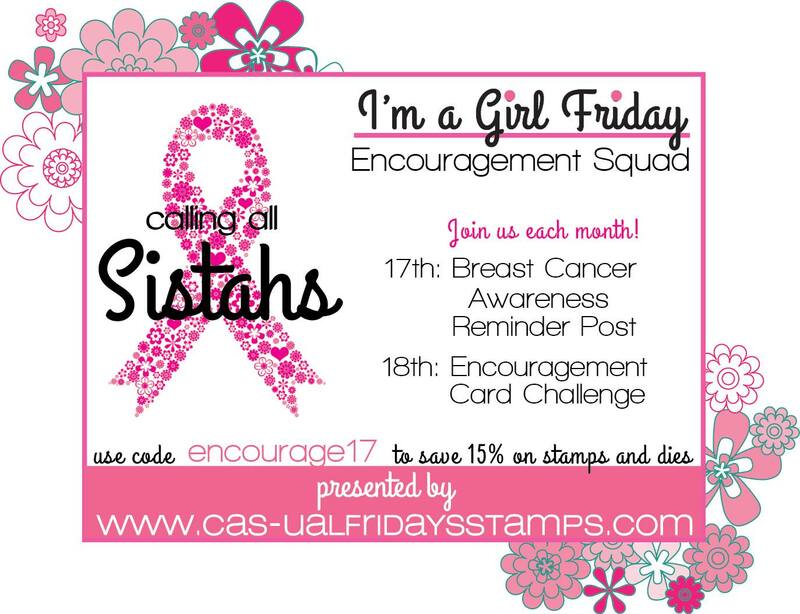 If you do not contact Karen before August 18th at midnight CST, your prize will be forfeited. 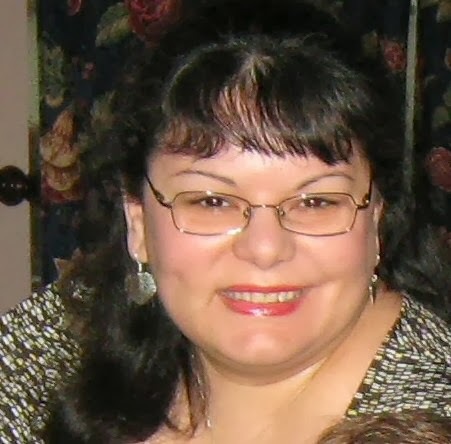 Donna Wakefield is the next blog hop stop. The main blog hop stop/start is the SAS4Kids blog, where you have six prizes available for winning. Love the layouts and colors of these cards. Really nice cards! Thanks for all you do for kids!!! Adorable holiday cards, Mary, and thanks for sharing and being a part of this charity hop -- what a great chance to put smiles on children's faces. The way time flies, the holiday will be here before we know it. Darling cards! Love the cute critters! Thank you for the inspiration to get out my holiday stamps, dies, cut files, paper, colors, put the Christmas music on and make cards! Special cards for special people by a talented cardmaker. Thanks for sharing. Super cute cards! Thanks for all you did to make the blog hop a success! Love the animals in these cards. So, so cute! Love your cuddly bundled up critters. So adorable - love these darling holiday critters all bundled up for the cold. So cute!! I especially like the top card. The animals are so fun. I haven't seen the film background before - i LOVE it! Will definitely have to start using this in my cards! Thank you! Wonde4ful colors and great use of the images. The wish season card is so cute! I love the background. Love the strip of film with the critters on it! super cute! Love your cards! Thanks for doing this!! Great layouts for cards. Film strip with critters just too cute. Thanks for sharing. Great card for kids. You a nice job on the digi. Mary, What sweet cards! Love them! Thanks for all you do for SAS4Kids! Wonderful cards! So festive and such great designs. 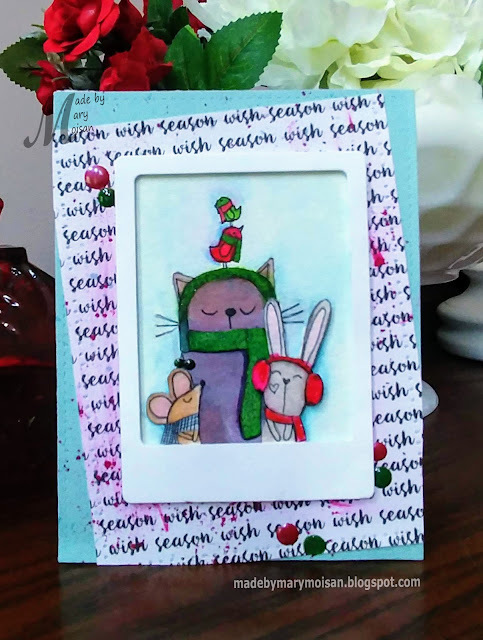 Love kitties on cards!! You did a great job on your cards! sweet little critters!! Adorable cards. So cute. I like the framing. Lovely cards. The filmstrip is such a clever idea for spot lighting those cute images! Love seeing all these wonderful ideas; what a great opportunity to see new techniques for cardmaking! OMGosh, these are such cute animal cards for Christmas. Just adorable and you just know some little person is going to LOVE these!! Super cute cards! I love how cozy they look together. I love the red and black color scheme and the cards are super fun and festive! Thanks you for sharing such fun cards. The black & white film card is unique. Mary, I love the digis you chose to use. They make such fun cards. Love the off kilter dp on the first card and all the work you put into raising parts of the image. It turned out wonderfully. The second card most definitely looks like film. Had I not read your description, I would not have known. Way to Go, Girl! Thanks for sharing. I love the bundled up buddies. Such a warm choice for your card in so many ways. I will have to dig out my film strip die and work with your other idea. Thanks for giving us inspiration! yes, go dust off that film strip die :) thanks for the nice comments. Mary, nothing but cuteness for the holiday. Yeah!!! This "hopping" is seriously inspiring!